Pure enjoyment on the coast of North Holland! 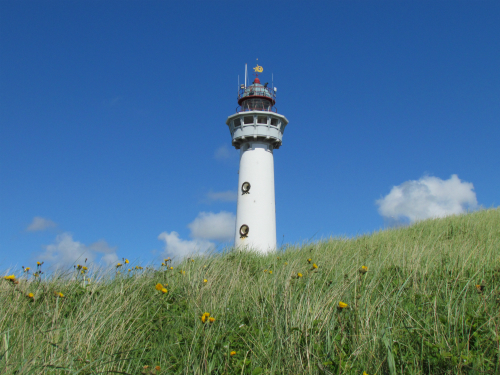 Egmond consists of three centuries-old villages, Egmond-Binnen, Egmond aan den Hoef and Egmond aan Zee, and both in Egmond as well as the surrounding area, there is plenty to see and do. The village of Egmond-Binnen has its own entrance to the beach, which can be reached on foot or by bicycle via a scenic route through the dunes. A little further, 5 kilometers away, you will find the busier beach of Egmond aan Zee, where you can also go by car or public transport. Close to B&B Peperhuis Egmond you will find the Abbey of Egmond, home to a community of Benedictine monks, where you can get a tour of the candle making, pottery museum and abbey church. Bergen is known as an artists' village which attracks many painters, writers and architects. Therefore many fairs, art and crafts markets and activities are organized througout the year. In October, the Kunst10Daagse 10-day art event is held, where interesting works by various artists are exhibited throughout the village. In the environs of Egmond there are many interesting and historical places, such as Alkmaar, Bergen, Schoorl, Hoorn, Schagen, Enkhuizen and Haarlem. And within 45 minutes you can easily reach the city centre of Amsterdam, either by car or public transport. Explore the Schermer Mills, visit the Keukenhof, make a tour through de Beemster, a Unesco world heritage site, or pay a visit to one of the many museums of North Holland. 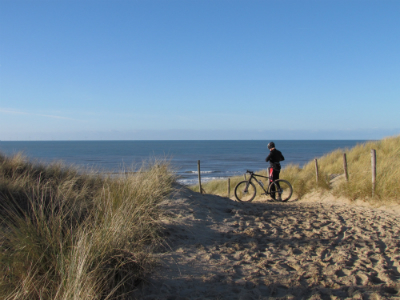 B&B Peperhuis Egmond is the perfect base for hiking and cycling. In the surrounding area, you will find various Long Distance Hiking Trails (LAW's) and Long Distance Cycle Routes (LAF's). 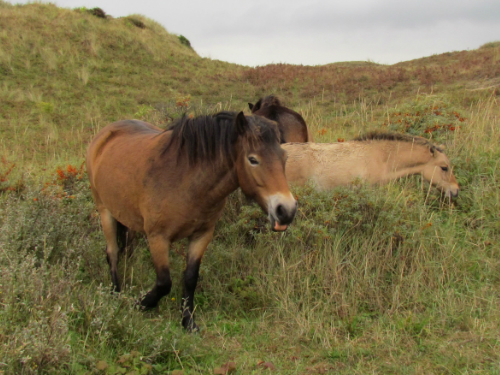 Furthermore, you are less than a 10 minutes walk to the border of the North Holland dune reserve, where you will find an extensive walking network. The walking trails in this vast nature reserve are marked and vary in length from 2 to 20 kilometers. From a historical point of view, there are also several interesting walking routes. For example, there is the Monnikenpad (Monks trail), a hike of 8.5 kilometers, which will take you along a beautiful changing landscape of polder, forest and dunes. During the walk, the information panels tell you about the history of the landscape and the three Egmonds. Start and finish are at the Abbey of Egmond, within a stones throw from the B&B. The hike can be extended by adding a second or third hike, the Hoeverpad (8 km) or the Derperpad (7.5 km). For the cyclists, there is an extensive cycling network connected by numbers. The numbered cycle network takes you along bicycle friendly, scenic routes that avoid heavy traffic. You can make your own route by simply cycling from one number to the next. All you have to do is decide where and how far you want to cycle. Bicycles are for rent at the B&B or at Berts2Wielers in Egmond aan den Hoef.